Mt. Gilead – EY announced June 5 that President Chris Gabrelcik of Lubrication Specialties, Inc. is an EY Entrepreneur Of The Year® 2015 Award Winner in the Ohio Valley Region. The awards program recognizes entrepreneurs who demonstrate excellence and extraordinary success in such areas as innovation, financial performance and personal commitment to their businesses and communities. Chris Gabrelcik, founder of Hot Shot’s Secret Stiction Eliminator was selected as an award winner by a panel of independent judges. Hot Shot’s Secret Stiction Eliminator is the top selling oil additive for removing stiction from diesel engines and can restore 9 out of 10 failing injectors. Hot Shot’s Secret Diesel Extreme is a high potency fuel additive combining detergents, dispersants and cetane to restore the diesel’s original performance power. Now in its 29th year, the EY Entrepreneur Of The Year® program has expanded to recognize business leaders in more than 145 cities in more than 60 countries throughout the world. Lubrication Specialties Inc. develops problem-specific solutions to end-users of diesel and gas engines. 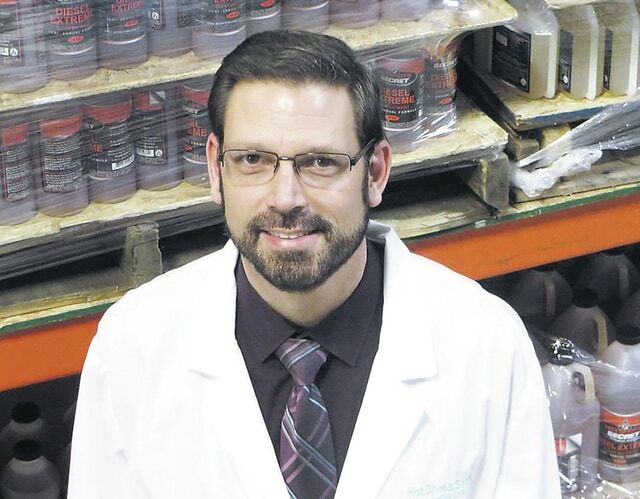 Leveraging the power of science, Lubrication Specialties Inc. and CEO Chris Gabrelcik have created a full line of additives that can solve stiction problems in practically all parts of an engine. Lubrication Specialties Inc. products are highly concentrated formulas that are much more impactful than the diluted products often found on the retail shelf. These products have been engineered to eliminate a specific problem and resolve related issues, which allows equipment to last longer and improve efficiency. The LSI family of companies includes Hot Shot’s Secret, Frantz Filters, Fluid Recovery and Lubrication Specialties Inc. Products available at www.LubricationSpecialties.com. EY is a global leader in assurance, tax, transaction and advisory services. The insights and quality services we deliver help build trust and confidence in the capital markets and in economies the world over. We develop outstanding leaders who team to deliver on our promises to all of our stakeholders. In so doing, we play a critical role in building a better working world for our people, for our clients and for our communities. For more information about our organization, please visit www.ey.com.